Oh my gosh, I'm so proud of this one! 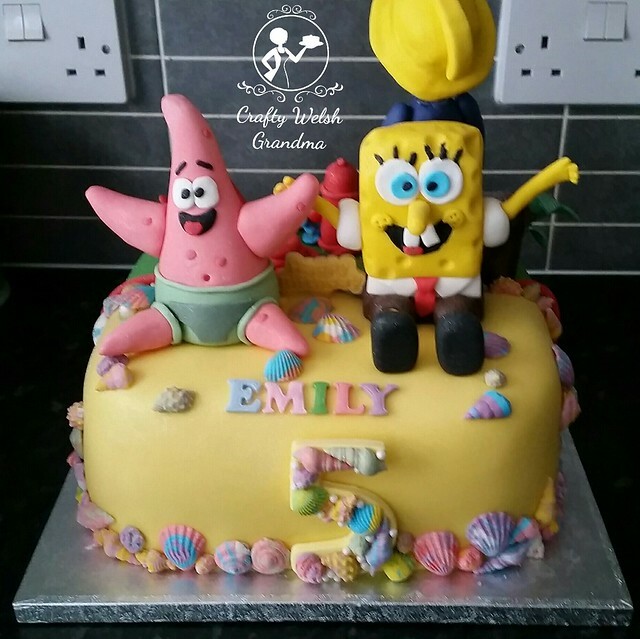 I made the Spongebob and Patrick myself too! 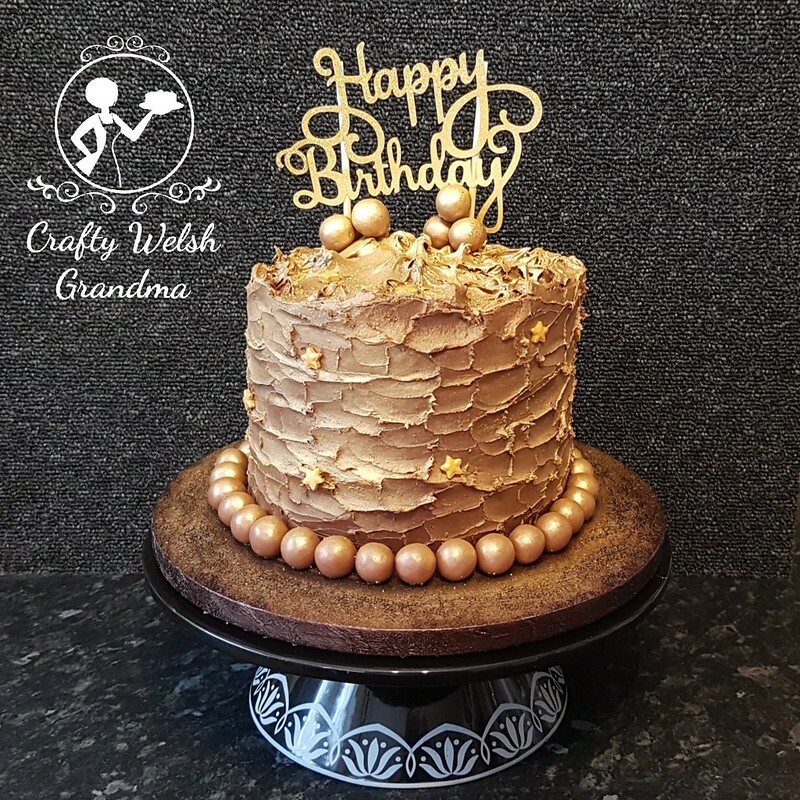 Once again, I found myself being asked to make a cake for a young man aged four and a young lady, aged five. 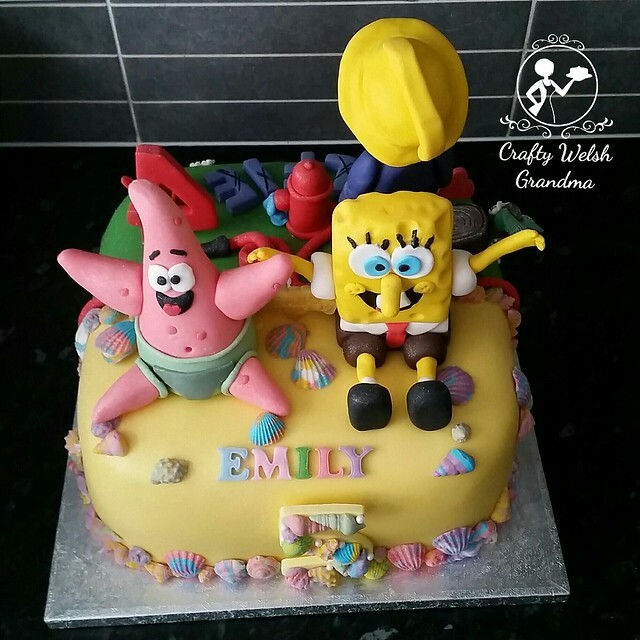 Not your regular request for a young lady in my experience, but she wanted Spongebob! 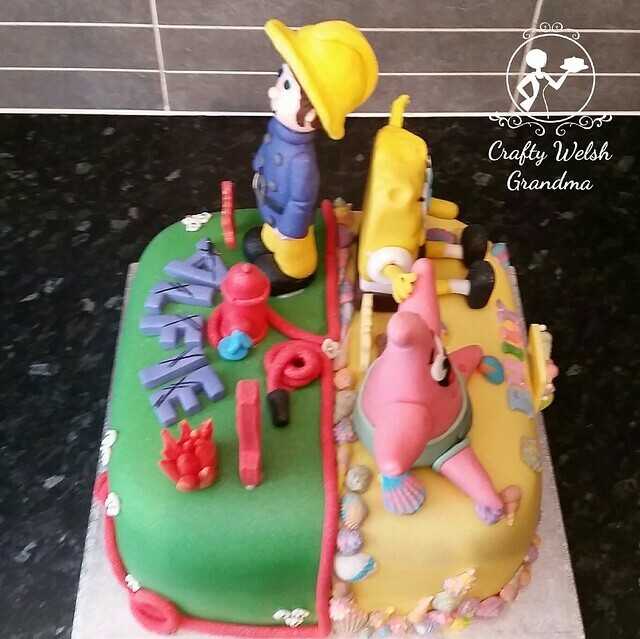 The young chappy wanted Fireman Sam, but I was so time-poor, I had to commissioned one from a cake shop / supplier. It arrived in good time too, thankfully. 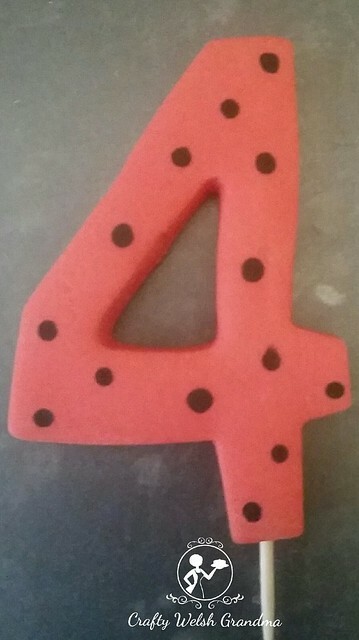 As with all my previous joint cakes, see my first one here, it all starts with ensuring the cake is measured correctly, marked out and covered to the half-way line is the required fondant colour. However, not exactly in this case. The Fireman Sam has a 'design' flaw! I's way too head-heavy! 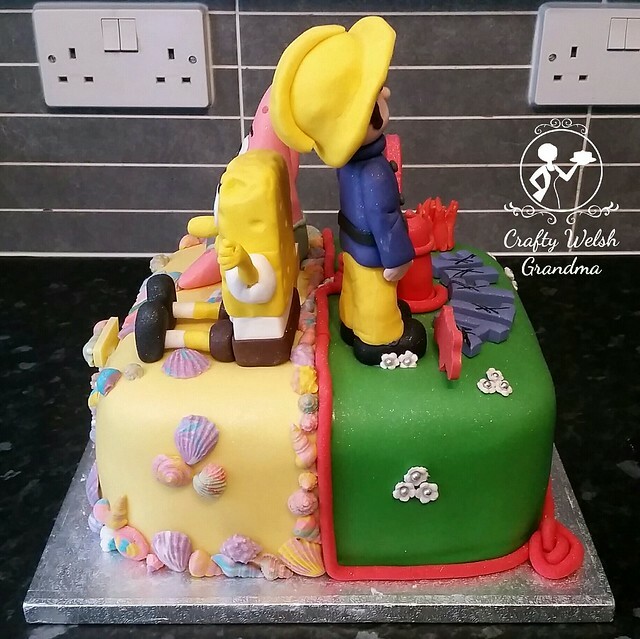 If you take a look at the second image just above (the one with Fireman Sam half on the left), you will note how far he is starting to lean to the back, or toward Spongebob. 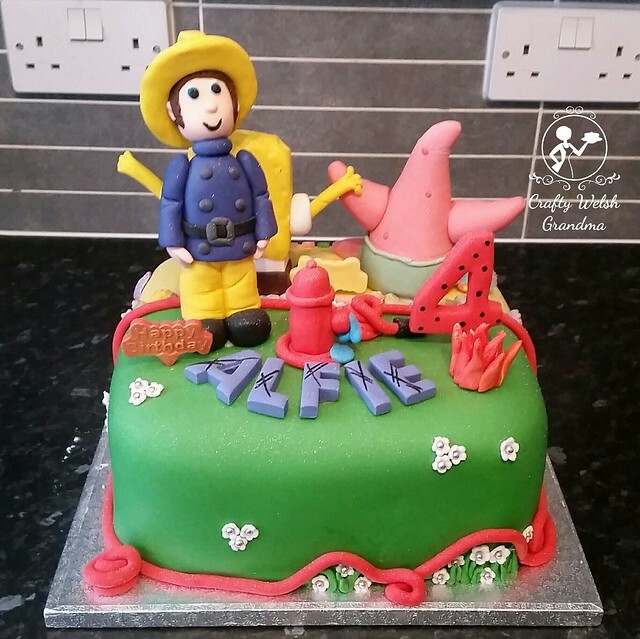 I was unable to take an additional 'above' image for the Fireman Sam half as the topper was leaning so far back that it began ripping the fondant off of the cake! I had to take his head off to make him stand upright. An additional piece has since been added in an effort to ensure he does not fall over. I made a tree stump and secured it with two cake-pop sticks as well as about five cocktail sticks. 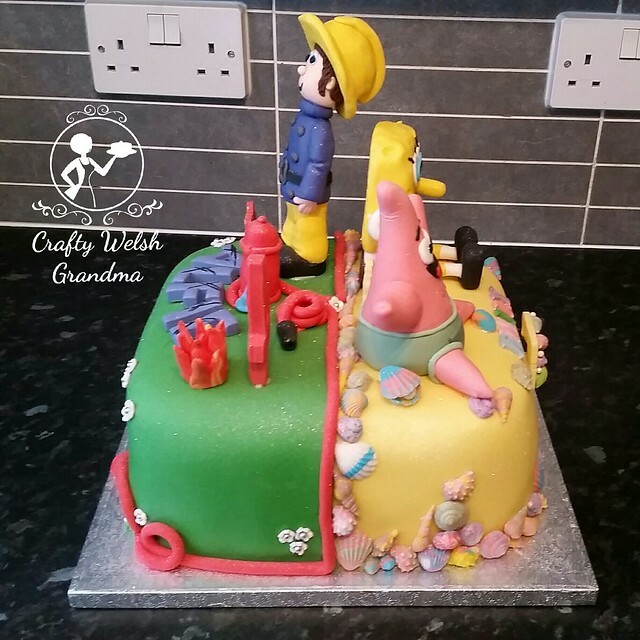 After fixing it to the cake and allowing the edible glue to harden, I secured Fireman Sam's bottom half to the stump. 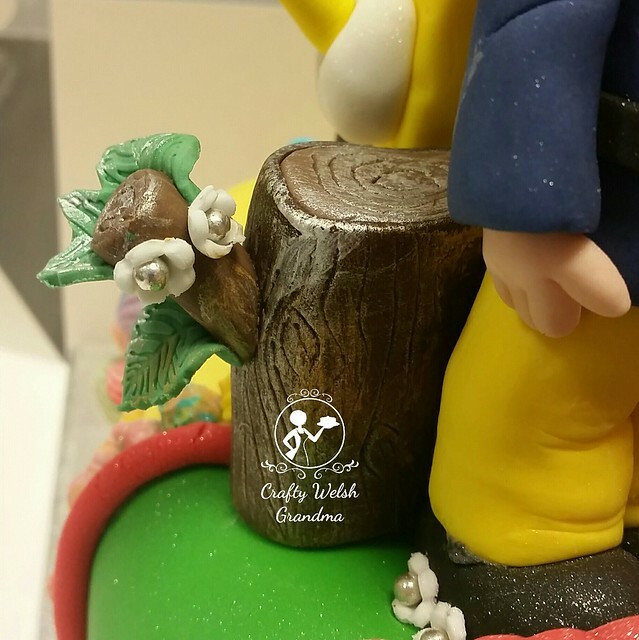 I made the stump out of a thick shape of paste and covered it in a thin layer or chocolate flavoured fondant, added a little branch, highlighted the wood grain with gold edible paint and simply hoped for the best! 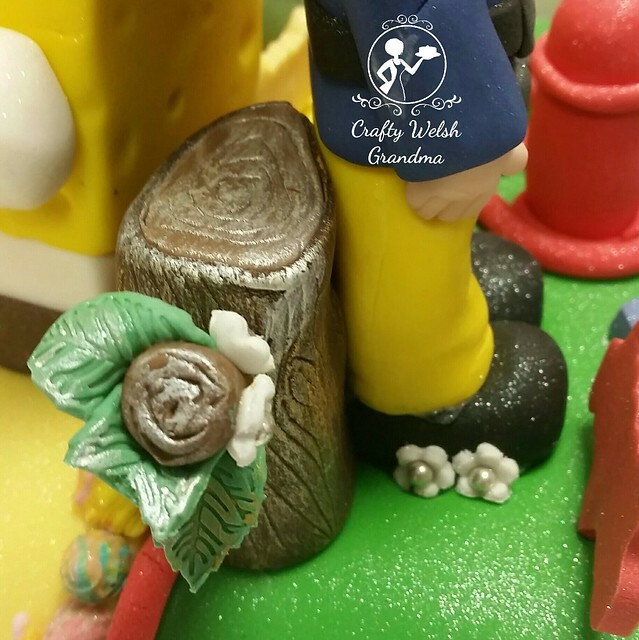 This cake was transported with Fireman Sam headless and have it fixed back on when I got to the venue. Unfortunately, a leaf broke during transit, but I took some edible glue and fixed it back on when I got there. No one knew, until the little one picked it off lol. 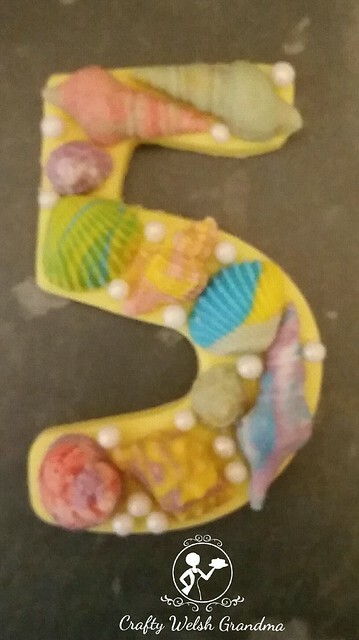 For the additional decoration, I handmade each shell, from multi-coloured standard fondant myself to add where the cake meets the board and where once side meets the other. 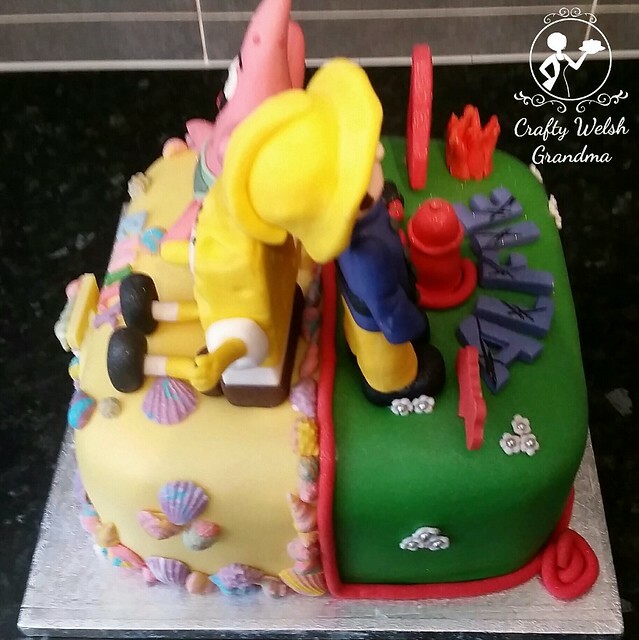 For the Fireman Sam side, I used an extruder to make a red 'fire hose' to line where this portion of the cake met the board and where it joined to the other half. Two kilograms of Renshaw fondant, one in yellow and one in green. Miscellaneous fondants for the shells and additional decorations. Red and white Renshaw modelling paste for the numbers and names. 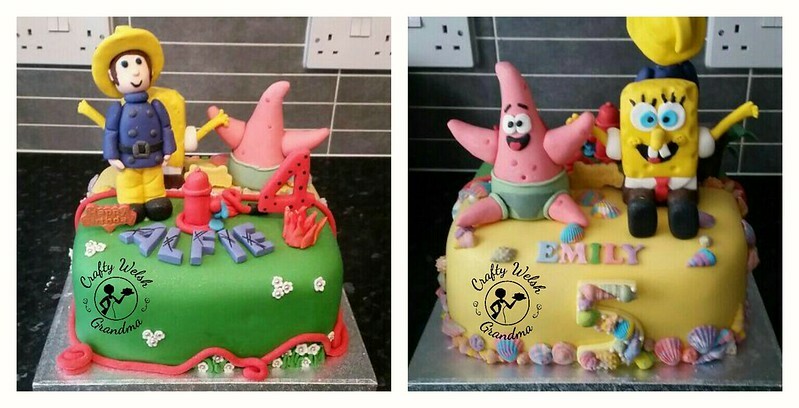 The little one, which Spongebob was her half this year, had a very different cake from me about two years ago.